A severely range-restricted habitat specialist, known from one site (EOO <1km², AOO <0.5 km²). The population size is less than 1000 individuals, and is potentially threatened by succulent collecting. 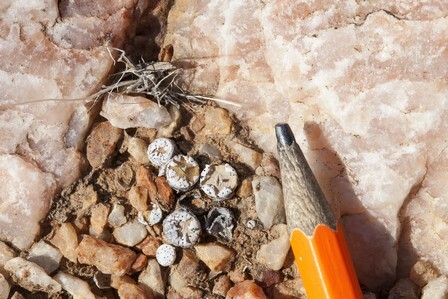 Pans of thin quartz scree. This species is extremely rare and highly desirable among succulent collectors. The population is not easily accessible, but it is extremely small and any removal of plants from the wild is likely to increase its risk of extinction. This species is an extremely localized habitat specialist, known from a single subpopulation of about 500-1000 individuals.